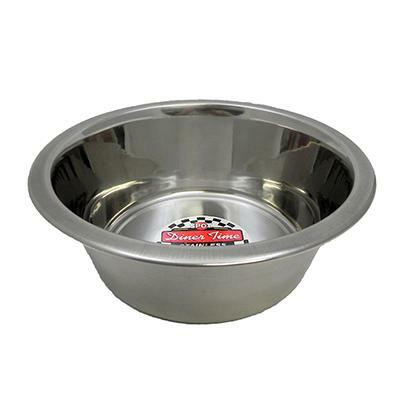 Stainless steel food or water bowl. Full outside diameter is 8-1/2 inches and the depth is 3 inches. Capacity 2 quarts. Nice for dogs with allergies to plastic. This stainless steel bowl is dishwasher safe, hygienic, and stain-resistant.